Kitsuné Club Night is back in Tokyo. With Artists featuring Moon Boots, Pat Lok, Boys Get Hurt, J Squared, U NGSM and hosi mo. 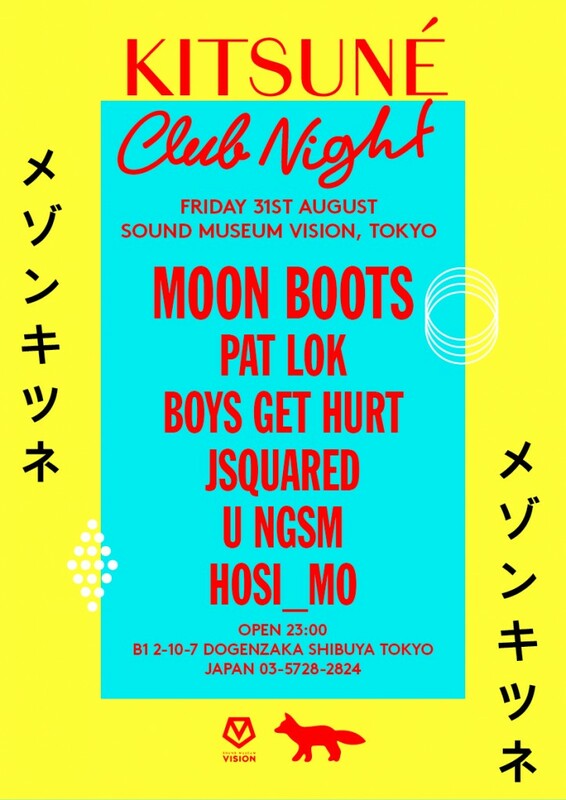 Kitsuné Club Night will be hosted at Sound Museum Vision in Shibuya on Friday, Aug. 31. Hosted by Maison Kitsuné Paris, the Club Night will celebrate the end of summer with great DJs.